PRODUCT Jasmine Hand Cream : บริษัท เซรีวานา โพรดักส์ จำกัด | Serevana Products Co., Ltd.
Shea Butter, Jojoba Oil, Vitamin E and Jasmine Essential Oil. 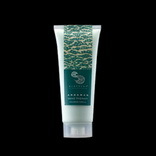 shea butter-rich hand cream, blended with soothing jasmine water, moisturizes and smoothes dry skin and leaves your hands feeling incredibly soft. © 2000-2008 CopyRight by Serevana Products Co., Ltd.